Liczba stron: 164 Jest to ujednolicona liczba stron, która ułatwi Ci porównanie długości książek. Każda strona Legimi to 200 słów. 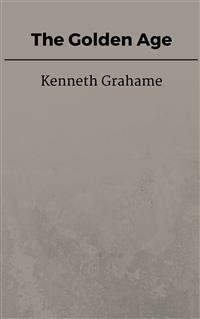 Grahame’s reminiscences are notable for their conception “of a world where children are locked in perpetual warfare with the adult ‘Olympians’ who have wholly forgotten how it feels to be young”--a theme later explored by J. M. Barrie and other authors. Looking back to those days of old, ere the gate shut behind me, I can see now that to children with a proper equipment of parents these things would have worn a different aspect. But to those whose nearest were aunts and uncles, a special attitude of mind may be allowed. They treated us, indeed, with kindness enough as to the needs of the flesh, but after that with indifference (an indifference, as I recognise, the result of a certain stupidity), and therewith the commonplace conviction that your child is merely animal. At a very early age I remember realising in a quite impersonal and kindly way the existence of that stupidity, and its tremendous influence in the world; while there grew up in me, as in the parallel case of Caliban upon Setebos, a vague sense of a ruling power, wilful and freakish, and prone to the practice of vagaries—"just choosing so:" as, for instance, the giving of authority over us to these hopeless and incapable creatures, when it might far more reasonably have been given to ourselves over them. These elders, our betters by a trick of chance, commanded no respect, but only a certain blend of envy—of their good luck—and pity—for their inability to make use of it. Indeed, it was one of the most hopeless features in their character (when we troubled ourselves to waste a thought on them: which wasn't often) that, having absolute licence to indulge in the pleasures of life, they could get no good of it. They might dabble in the pond all day, hunt the chickens, climb trees in the most uncompromising Sunday clothes; they were free to issue forth and buy gunpowder in the full eye of the sun—free to fire cannons and explode mines on the lawn: yet they never did any one of these things. No irresistible Energy haled them to church o' Sundays; yet they went there regularly of their own accord, though they betrayed no greater delight in the experience than ourselves. On the whole, the existence of these Olympians seemed to be entirely void of interests, even as their movements were confined and slow, and their habits stereotyped and senseless. To anything but appearances they were blind. For them the orchard (a place elf-haunted, wonderful!) simply produced so many apples and cherries: or it didn't, when the failures of Nature were not infrequently ascribed to us. They never set foot within fir-wood or hazel-copse, nor dreamt of the marvels hid therein. The mysterious sources—sources as of old Nile—that fed the duck-pond had no magic for them. They were unaware of Indians, nor recked they anything of bisons or of pirates (with pistols! ), though the whole place swarmed with such portents. They cared not about exploring for robbers' caves, nor digging for hidden treasure. Perhaps, indeed, it was one of their best qualities that they spent the greater part of their time stuffily indoors. To be sure, there was an exception in the curate, who would receive unblenching the information that the meadow beyond the orchard was a prairie studded with herds of buffalo, which it was our delight, moccasined and tomahawked, to ride down with those whoops that announce the scenting of blood. He neither laughed nor sneered, as the Olympians would have done; but possessed of a serious idiosyncrasy, he would contribute such lots of valuable suggestion as to the pursuit of this particular sort of big game that, as it seemed to us, his mature age and eminent position could scarce have been attained without a practical knowledge of the creature in its native lair. Then, too, he was always ready to constitute himself a hostile army or a band of marauding Indians on the shortest possible notice: in brief, a distinctly able man, with talents, so far as we could judge, immensely above the majority. I trust he is a bishop by this time,—he had all the necessary qualifications, as we knew. These strange folk had visitors sometimes,—stiff and colourless Olympians like themselves, equally without vital interests and intelligent pursuits: emerging out of the clouds, and passing away again to drag on an aimless existence somewhere out of our ken. Then brute force was pitilessly applied. We were captured, washed, and forced into clean collars: silently submitting, as was our wont, with more contempt than anger. Anon, with unctuous hair and faces stiffened in a conventional grin, we sat and listened to the usual platitudes. How could reasonable people spend their precious time so? That was ever our wonder as we bounded forth at last—to the old clay-pit to make pots, or to hunt bears among the hazels. It was incessant matter for amazement how these Olympians would talk over our heads—during meals, for instance—of this or the other social or political inanity, under the delusion that these pale phantasms of reality were among the importances of life. We illuminati, eating silently, our heads full of plans and conspiracies, could have told them what real life was. We had just left it outside, and were all on fire to get back to it. Of course we didn't waste the revelation on them; the futility of imparting our ideas had long been demonstrated. One in thought and purpose, linked by the necessity of combating one hostile fate, a power antagonistic ever,—a power we lived to evade,—we had no confidants save ourselves. This strange anaemic order of beings was further removed from us, in fact, than the kindly beasts who shared our natural existence in the sun. The estrangement was fortified by an abiding sense of injustice, arising from the refusal of the Olympians ever to defend, retract, or admit themselves in the wrong, or to accept similar concessions on our part. For instance, when I flung the cat out of an upper window (though I did it from no ill-feeling, and it didn't hurt the cat), I was ready, after a moment's reflection, to own I was wrong, as a gentleman should. But was the matter allowed to end there? I trow not. Again, when Harold was locked up in his room all day, for assault and battery upon a neighbour's pig,—an action he would have scorned, being indeed on the friendliest terms with the porker in question,—there was no handsome expression of regret on the discovery of the real culprit. What Harold had felt was not so much the imprisonment,—indeed he had very soon escaped by the window, with assistance from his allies, and had only gone back in time for his release,—as the Olympian habit. A word would have set all right; but of course that word was never spoken. Well! The Olympians are all past and gone. Somehow the sun does not seem to shine so brightly as it used; the trackless meadows of old time have shrunk and dwindled away to a few poor acres. A saddening doubt, a dull suspicion, creeps over me. Et in Arcadia ego,—I certainly did once inhabit Arcady. Can it be I too have become an Olympian? The masterful wind was up and out, shouting and chasing, the lord of the morning. Poplars swayed and tossed with a roaring swish; dead leaves sprang aloft, and whirled into space; and all the clear-swept heaven seemed to thrill with sound like a great harp. It was one of the first awakenings of the year. The earth stretched herself, smiling in her sleep; and everything leapt and pulsed to the stir of the giant's movement. With us it was a whole holiday; the occasion a birthday—it matters not whose. Some one of us had had presents, and pretty conventional speeches, and had glowed with that sense of heroism which is no less sweet that nothing has been done to deserve it. But the holiday was for all, the rapture of awakening Nature for all, the various outdoor joys of puddles and sun and hedge-breaking for all. Colt-like I ran through the meadows, frisking happy heels in the face of Nature laughing responsive. Above, the sky was bluest of the blue; wide pools left by the winter's floods flashed the colour back, true and brilliant; and the soft air thrilled with the germinating touch that seemed to kindle something in my own small person as well as in the rash primrose already lurking in sheltered haunts. Out into the brimming sun-bathed world I sped, free of lessons, free of discipline and correction, for one day at least. My legs ran of themselves, and though I heard my name called faint and shrill behind, there was no stopping for me. It was only Harold, I concluded, and his legs, though shorter than mine, were good for a longer spurt than this. Then I heard it called again, but this time more faintly, with a pathetic break in the middle; and I pulled up short, recognising Charlotte's plaintive note. She panted up anon, and dropped on the turf beside me. Neither had any desire for talk; the glow and the glory of existing on this perfect morning were satisfaction full and sufficient. "Where's Harold;" I asked presently. "Oh, he's just playin' muffin-man, as usual," said Charlotte with petulance. "Fancy wanting to be a muffin-man on a whole holiday!" It was a strange craze, certainly; but Harold, who invented his own games and played them without assistance, always stuck staunchly to a new fad, till he had worn it quite out. Just at present he was a muffin-man, and day and night he went through passages and up and down staircases, ringing a noiseless bell and offering phantom muffins to invisible wayfarers. It sounds a poor sort of sport; and yet—to pass along busy streets of your own building, for ever ringing an imaginary bell and offering airy muffins of your own make to a bustling thronging crowd of your own creation—there were points about the game, it cannot be denied, though it seemed scarce in harmony with this radiant wind-swept morning! "And Edward, where is he?" I questioned again. "He's coming along by the road," said Charlotte. "He'll be crouching in the ditch when we get there, and he's going to be a grizzly bear and spring out on us, only you mustn't say I told you, 'cos it's to be a surprise." "All right," I said magnanimously. "Come on and let's be surprised." But I could not help feeling that on this day of days even a grizzly felt misplaced and common. Sure enough an undeniable bear sprang out on us as we dropped into the road; then ensued shrieks, growlings, revolver-shots, and unrecorded heroisms, till Edward condescended at last to roll over and die, bulking large and grim, an unmitigated grizzly. It was an understood thing, that whoever took upon himself to be a bear must eventually die, sooner or later, even if he were the eldest born; else, life would have been all strife and carnage, and the Age of Acorns have displaced our hard-won civilisation. This little affair concluded with satisfaction to all parties concerned, we rambled along the road, picking up the defaulting Harold by the way, muffinless now and in his right and social mind. "What would you do?" asked Charlotte presently,—the book of the moment always dominating her thoughts until it was sucked dry and cast aside,—"what would you do if you saw two lions in the road, one on each side, and you didn't know if they was loose or if they was chained up?" "Do?" shouted Edward, valiantly, "I should—I should—I should—"
His boastful accents died away into a mumble: "Dunno what I should do." "Shouldn't do anything," I observed after consideration; and really it would be difficult to arrive at a wiser conclusion. "If it came to DOING," remarked Harold, reflectively, "the lions would do all the doing there was to do, wouldn't they?" "But if they was GOOD lions," rejoined Charlotte, "they would do as they would be done by." "Ah, but how are you to know a good lion from a bad one?" said Edward. "The books don't tell you at all, and the lions ain't marked any different." "Why, there aren't any good lions," said Harold, hastily. "Oh yes, there are, heaps and heaps," contradicted Edward. "Nearly all the lions in the story-books are good lions. There was Androcles' lion, and St. Jerome's lion, and—and—the Lion and the Unicorn—"
"He beat the Unicorn," observed Harold, dubiously, "all round the town." "That PROVES he was a good lion," cried Edwards triumphantly. "But the question is, how are you to tell 'em when you see 'em?" "I should ask Martha," said Harold of the simple creed. Edward snorted contemptuously, then turned to Charlotte. "Look here," he said; "let's play at lions, anyhow, and I'll run on to that corner and be a lion,—I'll be two lions, one on each side of the road,—and you'll come along, and you won't know whether I'm chained up or not, and that'll be the fun!" "No, thank you," said Charlotte, firmly; "you'll be chained up till I'm quite close to you, and then you'll be loose, and you'll tear me in pieces, and make my frock all dirty, and p'raps you'll hurt me as well. I know your lions!" "No, I won't; I swear I won't," protested Edward. "I'll be quite a new lion this time,—something you can't even imagine." And he raced off to his post. Charlotte hesitated; then she went timidly on, at each step growing less Charlotte, the mummer of a minute, and more the anxious Pilgrim of all time. The lion's wrath waxed terrible at her approach; his roaring filled the startled air. I waited until they were both thoroughly absorbed, and then I slipped through the hedge out of the trodden highway, into the vacant meadow spaces. It was not that I was unsociable, nor that I knew Edward's lions to the point of satiety; but the passion and the call of the divine morning were high in my blood. Earth to earth! That was the frank note, the joyous summons of the day; and they could not but jar and seem artificial, these human discussions and pretences, when boon Nature, reticent no more, was singing that full-throated song of hers that thrills and claims control of every fibre. The air was wine; the moist earth-smell, wine; the lark's song, the wafts from the cow-shed at top of the field, the pant and smoke of a distant train,—all were wine,—or song, was it? or odour, this unity they all blended into? I had no words then to describe it, that earth-effluence of which I was so conscious; nor, indeed, have I found words since. I ran sideways, shouting; I dug glad heels into the squelching soil; I splashed diamond showers from puddles with a stick; I hurled clods skywards at random, and presently I somehow found myself singing. The words were mere nonsense,—irresponsible babble; the tune was an improvisation, a weary, unrhythmic thing of rise and fall: and yet it seemed to me a genuine utterance, and just at that moment the one thing fitting and right and perfect. Humanity would have rejected it with scorn, Nature, everywhere singing in the same key, recognised and accepted it without a flicker of dissent. All the time the hearty wind was calling to me companionably from where he swung and bellowed in the tree-tops. "Take me for guide to-day," he seemed to plead. "Other holidays you have tramped it in the track of the stolid, unswerving sun; a belated truant, you have dragged a weary foot homeward with only a pale, expressionless moon for company. To-day why not I, the trickster, the hypocrite? I, who whip round corners and bluster, relapse and evade, then rally and pursue! I can lead you the best and rarest dance of any; for I am the strong capricious one, the lord of misrule, and I alone am irresponsible and unprincipled, and obey no law." And for me, I was ready enough to fall in with the fellow's humour; was not this a whole holiday? So we sheered off together, arm-in-arm, so to speak; and with fullest confidence I took the jigging, thwartwise course my chainless pilot laid for me. A whimsical comrade I found him, ere he had done with me. Was it in jest, or with some serious purpose of his own, that he brought me plump upon a pair of lovers, silent, face to face o'er a discreet unwinking stile? As a rule this sort of thing struck me as the most pitiful tomfoolery. Two calves rubbing noses through a gate were natural and right and within the order of things; but that human beings, with salient interests and active pursuits beckoning them on from every side, could thus—! Well, it was a thing to hurry past, shamed of face, and think on no more. But this morning everything I met seemed to be accounted for and set in tune by that same magical touch in the air; and it was with a certain surprise that I found myself regarding these fatuous ones with kindliness instead of contempt, as I rambled by, unheeded of them. There was indeed some reconciling influence abroad, which could bring the like antics into harmony with bud and growth and the frolic air. A puff on the right cheek from my wilful companion sent me off at a fresh angle, and presently I came in sight of the village church, sitting solitary within its circle of elms. From forth the vestry window projected two small legs, gyrating, hungry for foothold, with larceny—not to say sacrilege—in their every wriggle: a godless sight for a supporter of the Establishment. Though the rest was hidden, I knew the legs well enough; they were usually attached to the body of Bill Saunders, the peerless bad boy of the village. Bill's coveted booty, too, I could easily guess at that; it came from the Vicar's store of biscuits, kept (as I knew) in a cupboard along with his official trappings. For a moment I hesitated; then I passed on my way. I protest I was not on Bill's side; but then, neither was I on the Vicar's, and there was something in this immoral morning which seemed to say that perhaps, after all, Bill had as much right to the biscuits as the Vicar, and would certainly enjoy them better; and anyhow it was a disputable point, and no business of mine. Nature, who had accepted me for ally, cared little who had the world's biscuits, and assuredly was not going to let any friend of hers waste his time in playing policeman for Society. He was tugging at me anew, my insistent guide; and I felt sure, as I rambled off in his wake, that he had more holiday matter to show me. And so, indeed, he had; and all of it was to the same lawless tune. Like a black pirate flag on the blue ocean of air, a hawk hung ominous; then, plummet-wise, dropped to the hedgerow, whence there rose, thin and shrill, a piteous voice of squealing. By the time I got there a whisk of feathers on the turf—like scattered playbills—was all that remained to tell of the tragedy just enacted. Yet Nature smiled and sang on, pitiless, gay, impartial. To her, who took no sides, there was every bit as much to be said for the hawk as for the chaffinch. Both were her children, and she would show no preferences. Further on, a hedgehog lay dead athwart the path—nay, more than dead; decadent, distinctly; a sorry sight for one that had known the fellow in more bustling circumstances. Nature might at least have paused to shed one tear over this rough jacketed little son of hers, for his wasted aims, his cancelled ambitions, his whole career of usefulness cut suddenly short. But not a bit of it! Jubilant as ever, her song went bubbling on, and "Death-in-Life," and again, "Life-in-Death," were its alternate burdens. And looking round, and seeing the sheep-nibbled heels of turnips that dotted the ground, their hearts eaten out of them in frost-bound days now over and done, I seemed to discern, faintly, a something of the stern meaning in her valorous chant. My invisible companion was singing also, and seemed at times to be chuckling softly to himself, doubtless at thought of the strange new lessons he was teaching me; perhaps, too, at a special bit of waggishness he had still in store. For when at last he grew weary of such insignificant earthbound company, he deserted me at a certain spot I knew; then dropped, subsided, and slunk away into nothingness. I raised my eyes, and before me, grim and lichened, stood the ancient whipping-post of the village; its sides fretted with the initials of a generation that scorned its mute lesson, but still clipped by the stout rusty shackles that had tethered the wrists of such of that generation's ancestors as had dared to mock at order and law. Had I been an infant Sterne, here was a grand chance for sentimental output! As things were, I could only hurry homewards, my moral tail well between my legs, with an uneasy feeling, as I glanced back over my shoulder, that there was more in this chance than met the eye.